If you like spending nights on our website, I promise you – you don’t even have to move! 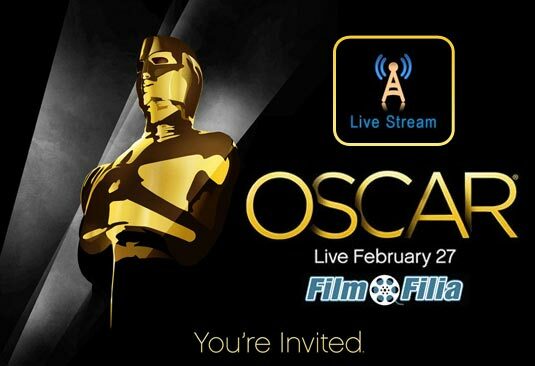 Watch the Oscars 2011 Live right here, on FilmoFilia! Follow live coverage of the 2011 Academy Awards, from the red carpet to the latest Oscar winners. If you, by some miracle, still don’t know who the 2011 Oscar nominees, or maybe presenters are, check it right now, and if you, at some moment, wish to share your opinion with other people, go and check our new Live Chat! The King’s Speech received the most nominations: twelve. True Grit followed with ten and then Inception and The Social Network with eight each. Toy Story 3, the highest grossing film of 2010, became the third animated film to be nominated for Best Picture; it is also nominated for four other awards including Best Animated Feature. Oscars 2011 Red Carpet LIVE! Watch Oscar 2011 Live on Sunday beginning at 8PM EST. Be there at the Kodak Theatre in Hollywood, California and witness the awards night live also you can watch it live via online video streaming.